Dark matter, a little-understood, as-yet-undetected substance theorized to dominate the makeup of the known universe, has been caught missing from two large galaxies, astonishing astronomers and cosmologists. As a dark matter — and its inevitable sidekick dark energy — are currently thought to make up the bulk of the universe, discoveries of massive celestial objects like galaxies that have little to none at all is a total surprise, causing researchers to doubt their early findings. "If there's one object, you always have a little voice in the back of your mind saying, 'but what if you're wrong?'" stated Yale University astronomer Pieter van Dokkum, cited by Phys.org. "Even though we did all the checks we could think of, we were worried that nature had thrown us for a loop and had conspired to make something look really special whereas it was really something more mundane," he added, prior to the discovery of a second non-dark matter galaxy. New and groundbreaking observations of the universe come to astronomers rarely and the discovery resulted in a high level of excitement within the scientific community. 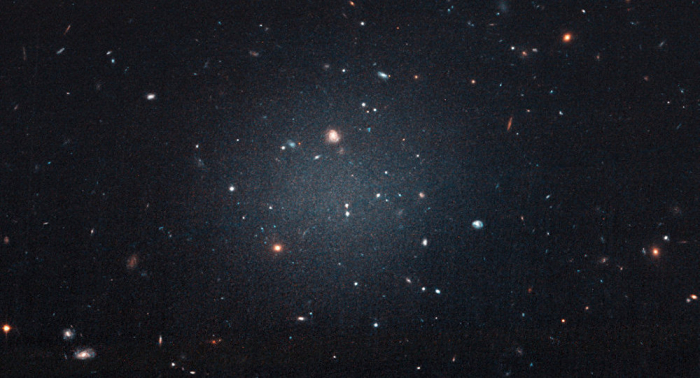 "The fact that we're seeing something that's just completely new is what's so fascinating," said Yale University graduate student Shany Danieli, who identified the first non-dark matter galaxy about two years ago. "No one knew that such galaxies existed, and the best thing in the world for an astronomy student is to discover an object, whether it's a planet, a star, or a galaxy, that no one knew about or even thought about," she said, cited by Phys.org. Non-intuitively, the existence of galaxies proven to have no dark matter only adds strength to existing dark matter theories, as it is thought to confirm that the mysterious substance does not resonate with what we consider to be 'normal' matter. "We hope to next find out how common these galaxies are and whether they exist in other areas of the universe," remarked Danieli. "We want to find more evidence that will help us understand how the properties of these galaxies work with our current theories," she stated, adding, "Our hope is that this will take us one step further in understanding one of the biggest mysteries in our universe: the nature of dark matter." About 68 percent of the known universe is thought to be comprised of dark energy, while dark matter is estimated to make up another 27 per cent, leaving everything that has been physically observed — or at least theorized to physically exist per Newtonian physics — to account for a mere 5 percent of the volume of known space, according to NASA.